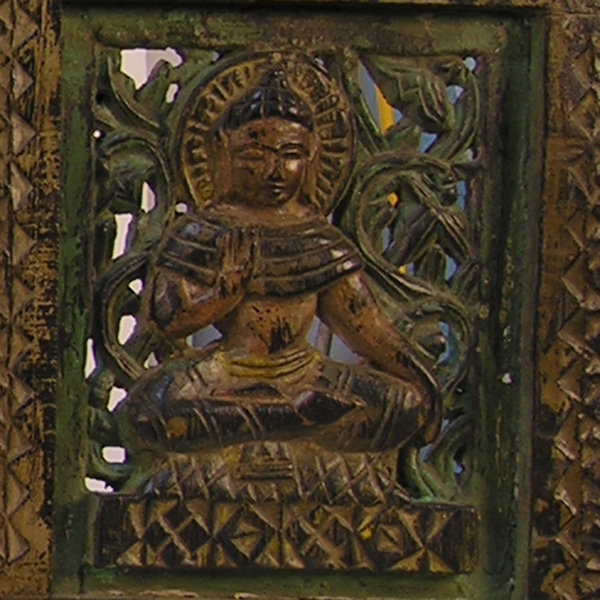 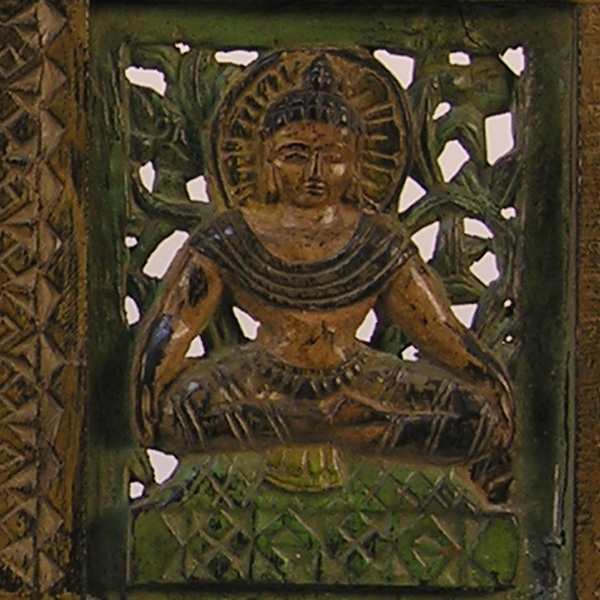 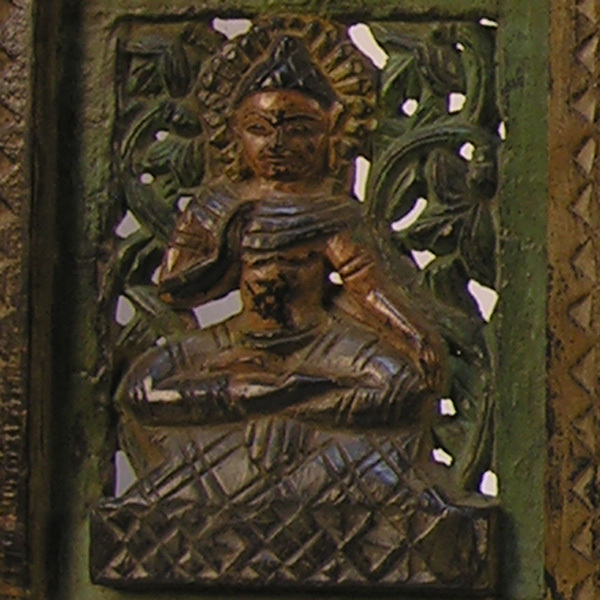 Carved teak panel depicting Buddha in five mudras, Orissa, India. 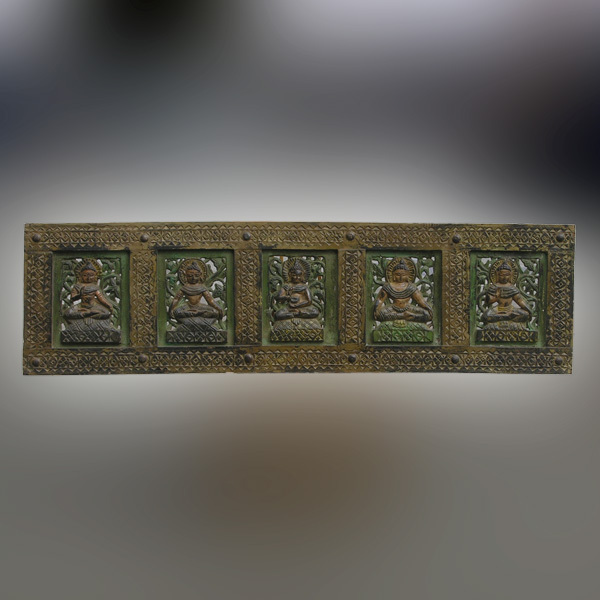 69" x 19" x 2"
Hand carved polychrome painted teak panel divided into five sections each depicting Lord Buddha in various lotus position mudras. 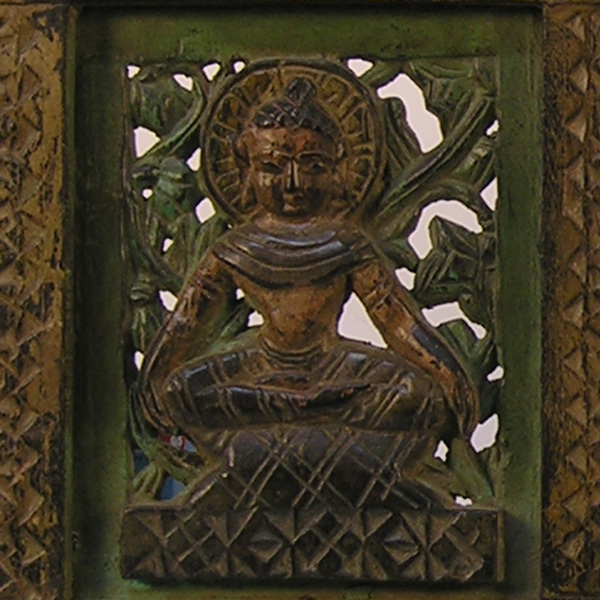 From Orissa, India and measures 69¼" long x 19" tall x 2" thick.Contemporary.